The All India Trade Union Congress (AITUC) on Monday accused Kaliabor MLA and former water resources minister Keshab Mahanta for showing the anti-workers attitude towards the employees’ of Assam Cooperative Jute mill Limited, Silaghat in Nagaon. Ranjan Choudhury, state secretary of AITUC and chief patron of Assam Cooperative Jute mill employees’ association lambasted Keshab Mahanta for showing the double standard. 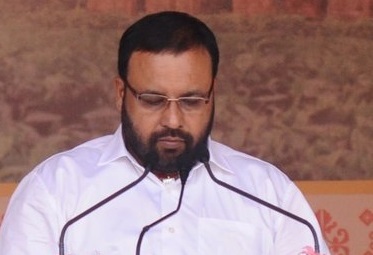 He accused Mahanta to clear his stand because after resigning from all the portfolios, holding in the BJP led coalition government how he held a meeting with the mill management and the workers of Assam Cooperative Jute mill on January 18. He alleged that Mahanta is convincing the workers and the management for shifting of the jute mill to another place. Keshab Mahanta was the chairman of the Assam Cooperative Jute mill Limited. “If Keshab Mahanta has resigned from the post how he held meeting with them. It has been clear that there is a mutual understanding between Keshab Mahanta and BJP and to show the people Mahanta and other AGP leaders had withdrawn the alliance with the BJP government,” Choudhury asked. The Asom Gana Parishad (AGP) withdrawn their alliance with BJP after BJP’s support to Citizenship (Amendment) Bill. A delegation of AGP went to New Delhi to convince Home minister Rajnath Singh to withdraw the bill but after his stand for the bill, the AGP leaders have decided to broke the alliance. Assam Parliamentary Affairs minister Chandra Mohan Patowary recently announced that the state cabinet has decided to restore the jute mill. The government has taken a loan of Rs 32.72 crore from the National Cooperative Development Corporation to restore the jute mill of Nagaon. Ranjan Choudhury alleged that for a hefty sum of commission Keshab Mahanta is trying to shift the existing jute mill to another place which is four km away from the existing mill and not suitable for any industry. “Already land and infrastructure are available then why they are trying to shift the jute mill to another place which is affected by erosion and not suitable for industries. The location of industries should not be changed because we don’t want that the mill will again close down,” he said. The Assam Co-operative Jute mill Limited was established in 1970 at Silaghat in Nagaon under the Assam Co-operative societies Act which is the only Jute mill in the country in Co-operative sector. However, in 1984, the Jute mill was closed down but after the historically Assam Accord, it was again reopened in 1986.